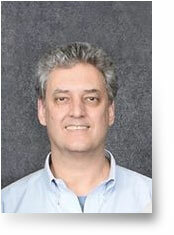 Dr. Eric Miller was raised in New York City, was trained as a Folklorist in Philadelphia (at the University of Pennsylvania), and has settled in Chennai. PhD in Folklore (MSc in Psychology, in process). Assistant Director, East West Center for Counselling and Training. co-founded the World Storytelling Institute, which he directs. He also directs the annual Chennai Storytelling Festival, which began in 2013. Arts Therapy course at Women’s Christian College. Eric has also worked in the video industry, in which he specialises in facilitating videoconferences. To teach at Colleges, Universities, and Institutes in Chennai and elsewhere in India, in-person and via videoconference. To facilitate videoconferences for Faculty Members and Students. To lead various types of Storytelling and Story Writing Workshops. To theorise and practice “Storytelling Therapy”, along the lines of Drama Therapy. To develop interactive, collaborative, and project-based teaching-and-learning methods. Story Analysis. Story Writing (Creative Writing). Storytelling. Acting. Ways to conduct “Storytelling Therapy”, one of the Creative Arts Therapies, and a component of Expressive Arts Therapy. Public Speaking. Soft Skills and Communication Skills. Expository Writing (the Writing of Letters, Research Essays, Persuasive Essays, Dissertations, etc). Tourism and Museum Studies: Specialising in Eco- and Cultural-Tourism, and focusing on Sea-Fishing Communities along Tamil Nadu’s eastern coast, and Tribal Communities in Tamil Nadu’s western mountains. History of Communication (emphasis on Videoconferencing and other forms of Interactive Telecommunication). Storytelling (Oral Narrative), in conversation (Conversation Analysis), performance, and ritual. Therapeutic uses of storytelling (storytelling as a healing art). Storytellers’ visual accompaniments. Narrative as presented through various communication technologies. Communication technologies (oral, literary, and electronic). Interactive telecommunication, especially Videoconferencing (design, sociological, and regulatory issues). Educational uses of technology. Methods and technologies for teaching written and spoken languages. Methods of simultaneous translation. Folklore in relation to Education, Tourism, and Business. Eco-Tourism, Cultural Tourism. Tourism Studies and Museum Studies (especially “Living Museums”, in which the objects on display are still in everyday use, and are explained by community members). Tamil Nadu’s Sea-fishing Communities, and Tribal Communities. Culture and Nature. The Epic of the Anklet, Silappathikaram. MSc in Psychology, in process (graduation projected for 2016). University of Madras. PhD, 2010. University of Pennsylvania, Folklore Program (Philadelphia). Dissertation, “Ethnographic Videoconferencing, as Applied to Songs/Chants/Dances/Games of South Indian Children, and Language Learning”, www.storytellingandvideoconferencing.com/280.html. MA, 1996. New York University, Gallatin School of Interdisciplinary Studies. Self-designed course of study in “Storytelling Studies”. Thesis, “Storytelling Accompanied by Visuals”, www.storytellingandvideoconferencing.com/15.html. Indian Institute of Technology – Madras. Short Story Classics, Jan-April 2012. April 2008 – June 2011. Image College of Animation, Arts, and Technology (Chennai). Art History, History of Communication Technology, Academic Writing and Research. 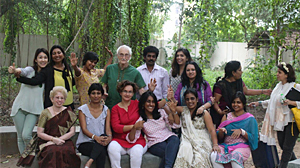 World Storytelling Institute (Chennai), www.storytellinginstitute.org . New York University, School of Continuing and Professional Studies (NYC). Fall 2001 – Spring 2002. Fordham University, Department of English, Lincoln Center campus (NYC). Courses: Expository Writing (twice), Introduction to Literature (twice). University of Pennsylvania, School of Arts and Sciences (Philadelphia). Teaching Assistant (for Prof Roger Abrahams, Folklore of the African Diaspora), Spring 1999. Research Assistant (for Prof Roger Abrahams, Folklore Program), Fall 1999 – Spring 2001. Fall 1996 – Summer 1998. St. John’s University, Division of Humanities, Staten Island campus (NYC). The Modern Short Story (twice), American Drama, The Folk Tale. “Child Development, Arts Therapies, Education — and Storytelling“, Teacher Plus Magazine (Hyderabad), Nov 2014, www.storytellinginstitute.org/888.pdf. “Marina Beach Deserves a Living Museum“, Deccan Chronicle, Chennai edition (10 Nov 2013), www.storytellinginstitute.org/12.jpg. “Storytelling in the Age of Videoconferencing“, New Moment Magazine for Art and Advertising (Belgrade, Serbia; and Ljubljana, Slovenia) (Nov 2013), www.storytellingandvideoconferencing.com/55.pdf. “Videoconference Interviews in the Folklore Classroom”, Folklore and Education E-Newsletter of the American Folklore Society, Spring 2008, www.storytellingandvideoconferencing.com/7.pdf. “In Praise of Citizen Kannagi”, The Hindu (Chennai edition), Op-Ed Article, June 16, 2006, p. 13, www.storytellinginstitute.org/14.pdf. “Public Presentation of Folklore: Politics of Technology, Culture, and Discourse”. In Folklore as Discourse, M.D. Muthukumaraswamy, ed., Chennai, National Folklore Support Centre, 2005, pp. 211-27, www.storytellingandvideoconferencing.com/23.pdf. “The Asian Century of Folklore Scholarship: Reflections on the Chennai Conference”. Editorial in Indian Folklife (the Newsletter of India’s National Folklore Support Centre, Chennai) Vol. 3, No. 2, (March 2004), pp. 3-6, www.storytellingandvideoconferencing.com/16.pdf. “Cultivating a Forest Language: Development Ideas for Kani Tribal People of Tamil Nadu’s Kanyakumari District”, co-authored with Velmurugan Kani. In the Proceedings of the First Annual Conference of the Kanyakumari Academy of Arts and Sciences, Nagarcoil, 2004, www.storytellingandvideoconferencing.com/22.pdf. “The Public Sphere, Folklore, and Interactive Telecommunication in Rural India”. In Folklore, the Public Sphere, and Civil Society, Molly Kaushal and M.D. Muthukumaraswamy, eds., New Delhi and Chennai: Indira Gandhi National Centre for the Arts, and National Folklore Support Centre, 2004, pp. 303-12, www.storytellingandvideoconferencing.com/8.html. “Book Review: Changing Tribal Life: A Socio-Philosophical Perspective”, Indian Folklore Research Journal (Chennai), Vol. 1, No. 3 (2003): 113-118, www.storytellingandvideoconferencing.com/8.pdf . “Child’s Play, Language Teaching and Learning, and Videoconferencing”, Madhyam: Issues in Culture, Communication, and Development, Bangalore, Vol. 18, No. 2 (Oct. 2003): 13-19, www.storytellingandvideoconferencing.com/6.html. “Tamil Nadu’s Silappathikaram (Epic of the Anklet): Ancient Story and Modern Identity”. Self-published booklet, Madras, 1991, www.storytellingandvideoconferencing.com/18.html. “The Value of the Multi-Discipline Approach to Research”, Kanyakumari Academy of Arts and Sciences, Annual Meeting. www.storytellinginstitute.org/28.pdf. “Aspects of the Storytelling Revival in India”. Seminar on Dynamics of Religious Trajectories: Continuities and Changes, Traditions and Improvisations”, at MOV Vaishnav College for Women, Department of Sociology, Chennai. “Methods and Options for Videoconferencing in Relation to the Tamil Language”, International Forum for Information Technology in Tamil, at the Chemmozhi Conference, Coimbatore. www.storytellingandvideoconferencing.com/28.pdf. “Educational Uses of Videoconferencing”. Conference on Embedding Information and Communication Technology in Higher Education, at N.K.T. National College of Education for Women, Dr Besant Road, Triplicane, Chennai. “Storytelling and Place: The Sea-Fishing Communities of Chennai”. Conference on Regionalism and Nationalism in Literature, University of Madras, Department of English. “Story and Storytelling Tourism: Kinds of Eco-Tourism”. Conference on Environmental Issues in Emerging and Advanced Economies: Canada and India. At Gujarat University, Ahmedabad. “Storytelling Eco-Tourism, and the Places of Kannagi Tour”. Conference on Climate Change and Environmental Sustainability in India and Canada: Approaches and Strategies, at University of Madras. “Cultural Tourism in Chennai’s Fishing Villages”. Conference on Environmental, Cultural, Economic and Social Sustainability, at University of Madras. “Storytelling and Videoconferencing”. Keynote Speech, Storytelling in Higher Education Special Interest Group Pre-Conference, USA National Storytelling Conference, Pittsburgh, Pennsylvania. “Ethnographic Videoconferencing”. Guest Lecture, Stella Maris College, Department of Sociology, Chennai. www.storytellingandvideoconferencing.com/44.pdf . “Nature and Language: Nature-related Proverbs of Kanikaran Tribals”. Guest Lecture, with co-presenters, Velmurugan Kani, and Rajammal Kani. Association of British Scholars (Chennai Chapter), and Department of Tamil Language. University of Madras, Marina Campus Auditorium. www.storytellingandvideoconferencing.com/22.pdf. “Chennai and Videoconferencing”. International Forum for Information Technology in Tamil, Chennai, www.storytellingandvideoconferencing.com/07.html. “The Performance Tradition of Villupattu in Rural and Urban Contexts”. Guest Lecture, University of Madras, Department of Tamil Literature. 10 August 2000. “Storytelling in Different Cultures”. Guest Lecture, University of Madras, Department of Indian Music. “Videoconferencing for Folklorists”. American Folklore Society Annual Meeting, Memphis, Tennessee, www.storytellingandvideoconferencing.com/52.html. Notes on "Storytelling Workshops for People in the Business World"